Join Miss Amy on Fridays at 10:00 for two-and-three-year-olds. 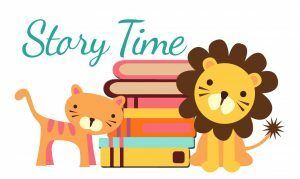 Come join the magic and wonder of reading, through books, rhymes, songs, flannel board stories, finger plays, puppets, dramatic play and thematic crafts. October 5th - Bug Day!! Make your own bugs October 12th - Visit to the Firehouse!!! October 19th - Spooky Fun! October 26th - Pumpkin and Costume Day!